There is no better way to say “I do” than with the beautiful Treasure Island beach and a spectacular sunset as a backdrop. This is what we offer at Bilmar Beach Resort. 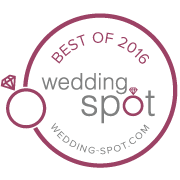 Your wedding is your special day, and we cater to all of your needs. From indulging you and your guests with gourmet food prepared by our Executive Chef to spoiling you with our completely renovated rooms, suites, and penthouses, we make sure your special day is unforgettable. Create your new memories with us at the Bilmar Beach Resort, where the sun sets and life begins. Once you have tied the knot, you and your guests can begin the celebration in our spacious Crystal Sands Ballroom. With more than 2,400 square feet of space for your wedding party, our ballroom can cater to groups of up to 200 people. This interior room is centrally located with private access from the main parking area, Hotel Lobby and the Crystal Sands Courtyard. If you’d rather celebrate outdoors, you can utilize our Beach Café & Patio, which boasts over 3,000 square feet of space and a lovely view of the Gulf of Mexico. Thanks to our floor-to-ceiling windows, you can dance the night away in any weather. The Beach Front Patio with awning and misting system can expand your celebration if you want to get closer to the sands of our beaches.